I wish I could give you a guide to online blackjack which would have you winning every single time. Sadly, that is not possible. You can’t win every single time at online blackjack. I don’t care what you have been told. There is still a house edge that can’t be beaten. It is one of the smallest house edges in the online casino world, but it still exists. I can give you a few tips to ensure that your chances of winning go through the roof, though! Obviously, card counting is not going to be a legitimate strategy when it comes to online blackjack. Although, to be honest, this is not something that you should be doing in a real casino anyway. If you get a pair of 8s or a pair of As, then split them. Best thing you can do when it comes to swinging the odds in your favour. You should always split these. If you have a pair of twos, threes, sixes, sevens, or nines,. Then you should only split if your dealer has under 7. If they have 7 or higher, then you are just swinging the odds back towards the house and I am positive that you do not want to do that. If you have an eleven, then double down. The only time you should not be doubling down with an 11 when you are playing online roulette is if the dealer has an Ace. If the dealer has an 11 or under, take a hit. If your cards total between 12 and 16 then you should take a hit if the card the dealer has is seven or higher. If you take a hit otherwise, you are going to be running quite a risk and I don’t think I can help you to win a ton of cash there! If you have a hand which is valued 17 or higher, then don’t take a hit. The only exception is a soft 17 or under. You should always take a hit there. Only take a hit with a soft 18 if the dealer has six or less. You should never split pairs of cards which are valued at 10. So, do not split your K, Q, J, or 10. You should never buy an insurance. If you have a soft 19, do not take any more hits. Blackjack is a simple game. However, you are still going to want to know how to play the game before you head online and play Blackjack. I suggest that you utilise several different resources here. 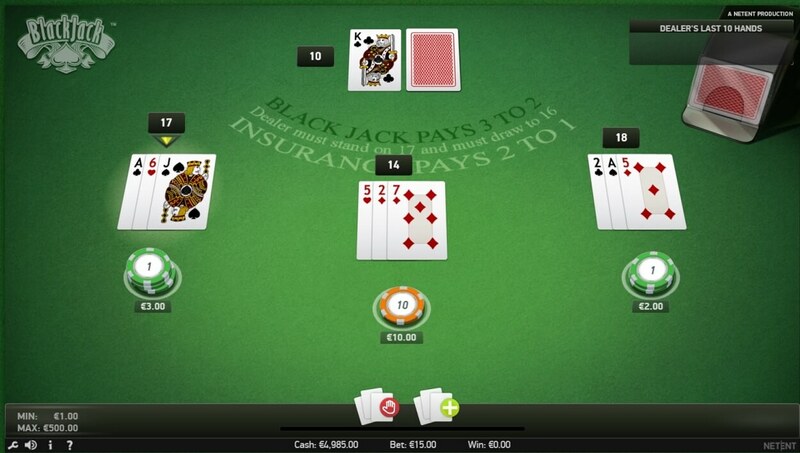 This is the only way you should be able to get a solid understanding about how online blackjack will play out. If you have a good understanding of the various card combinations that can appear and the like, then you are going to find that it becomes a whole lot easier to win. You must remember that the odds for the online casino are so small that they are going to be focusing on making money from the people who have no idea how to play. The second you know how to play, you should be winning absolutely every single time. While the house edge is going to swing away from you if you play other types of blackjack online, some people have a tremendous amount of fun playing things like 6-in-1 blackjack which have different side bets that you can take advantage of. Probably not ideal if you are gambling massive amounts of cash away, but if you are looking to have some fun and are willing to learn the strategy of the game, then you may find that these side bets end up being particularly advantageous to you. Probably not the reason why you are going to win at the game. However, it is going to help add a lot more fun into the world of blackjack. If you choose a top Australian online casino, then everything becomes more fun. You may even want to check out the best online blackjack which takes the live dealer approach. Of course, we are experts in online casinos here, so I suggest you take a look at some of our online casino suggestions below!